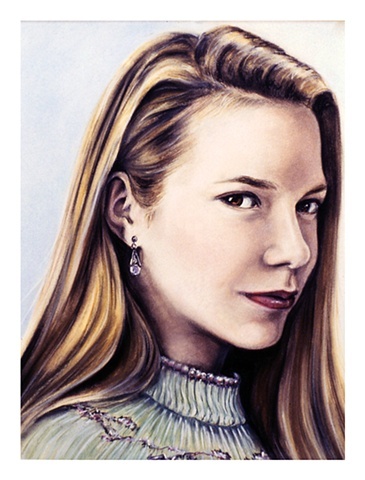 Marilyn Rabetz - "Diamond Earring"
The original pastel portrait was an individual commission, and is not for sale as an original nor as a print. This image was created in a live session with the subject. Multiple photos were taken and then we picked the ones we wished to use as the basis for the portrait. The earring (a favorite of the subject) was added later to set off her face. Although she was young at the time of the sitting, and the portrait seemed a bit older than her age at the time, she has now grown exactly into it.